CLICK HERE TO VIEW OUR CAMPAIGN! 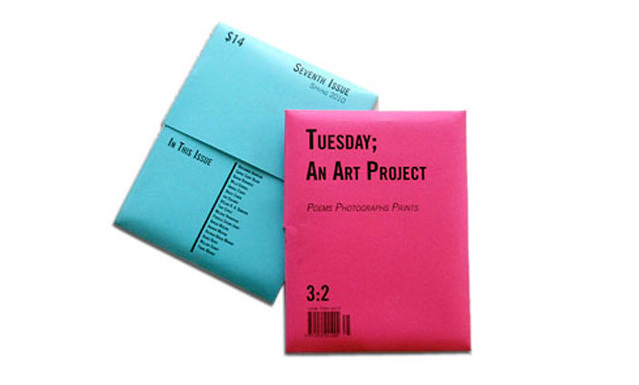 Introducing: Tuesday; A Reading Project!!! 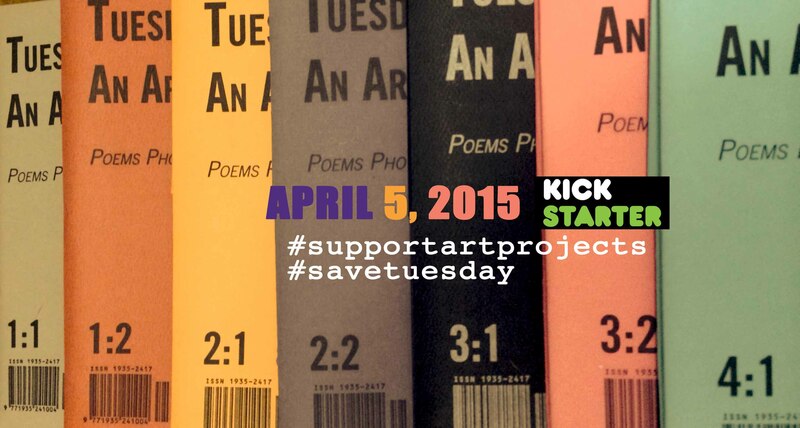 In which past contributors to Tuesday read their poems from the magazine. In our debut Reading Project video, Jane Wong reads “O,O” and “O,O” from Issue 6:2. To watch, click here. Coming soon… Terese Svoboda, David Rivard, Cate Marvin, Anne Marie Rooney, Khadijah Queen, Anthony Madrid, Quraysh Ali Lansana, and many many more!! TUESDAY RETURNS!!!! Subscribe! Submit! Support! We did! So we are staging a comeback, and we can’t do it without YOU! 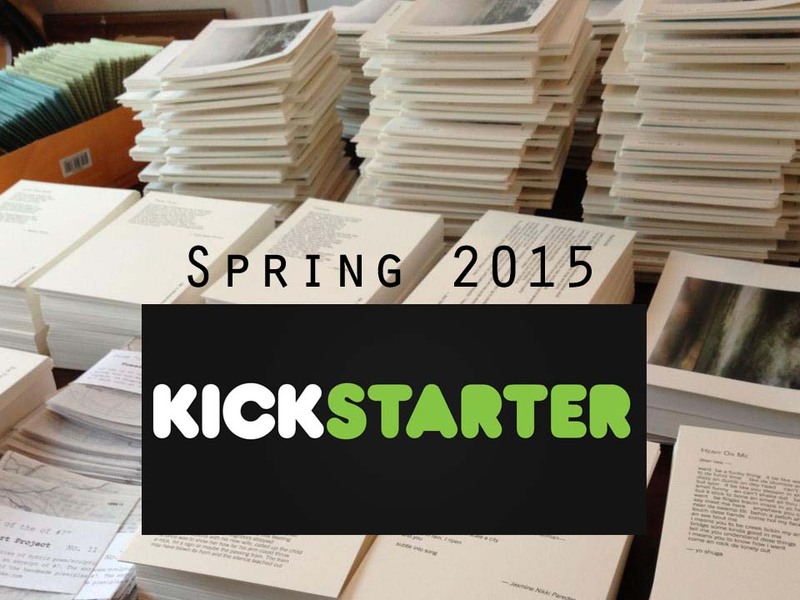 -April 5: Kickstarter! Subscribe to Issues 12 & 13 through our campaign! -April 8: General Submissions open at AWP! Tuesday; An Art Project is back! Support us starting April 13, 2015!